What's the most at-risk U.S. nuclear power plant? Could it happen here? That's the question on everyone's mind as we watch the nuclear emergency unfold at Japan's Fukushima Dai-ichi nuclear plant. As it turns out, the U.S. government has long been asking the same question. The Nuclear Regulatory Commission recently provided MSNBC with an updated list of the American plants most at risk of core damage (which can lead to meltdowns and radiation release) in the event of an earthquake. What parts of the country are most at risk? You may be surprised. Most people would assume California plants, built around the turbulent San Andreas fault line, might be in the most dangerous position. 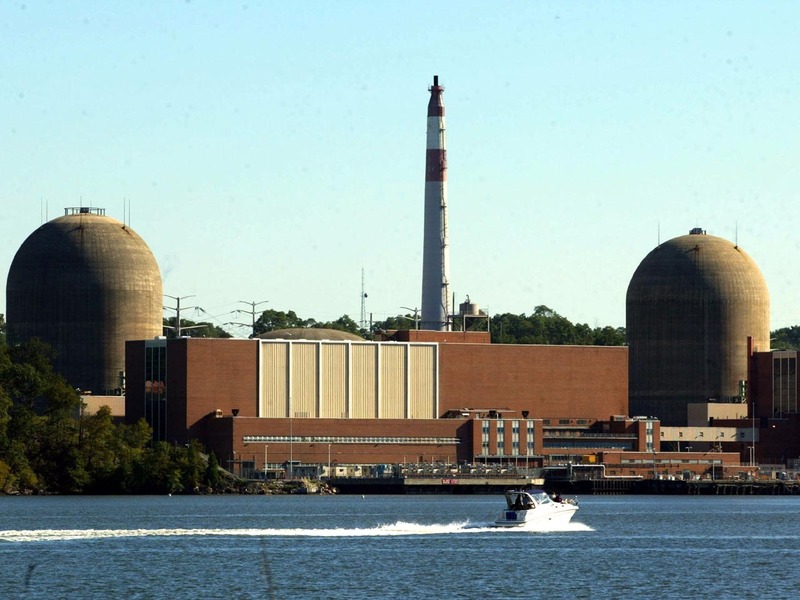 Actually, the most at-risk plant isn't even on the West Coast - it's on the Indian Point Energy Center Hudson River. Indian Point, located in Buchanan, N.Y., has the highest risk of core damage in the event of an earthquake, according to NRC estimates reported by MSNBC. At a 1 in 10,000 chance of core breach, that's right on the verge of what the NRC calls "immediate concern regarding adequate protection." The East Coast comes off much worse than other parts of the country. The second plant on the list is Pilgrim 1 in Massachusetts. Number three is in Pennsylvania. The only West Coast plant is Diablo Canyon in California at number nine. The government's list considered how close the plants were to major fault lines and how well they were designed to handle an earthquake. Back in the 1960s and 70s, when most of the plants were built, the government knew about earthquake risks on the West Coast. Those plants were designed to withstand them. But new surveying technology has revealed fault lines in the central and eastern states where plants were not designed for the serious stresses of a large quake. That's turned the risks upside down. California plants now seem relatively safer, according to the government estimates provided to MSNBC, and East Coast plants, once deemed at low risk, have jumped to the top of the list. It is important to note the list refers to core damage, not a meltdown. But as the University of Georgia's Cham Dallas, director of the Institute for Health Management and mass Destruction Defense, explains, "core damage can lead to water loss which can lead to a meltdown." Testifying before House panel Wednesday, Energy Secretary Steven Chu said, "The American people should have full confidence that the United States has rigorous safety regulations in place to ensure that our nuclear power is generated safely and responsibly. Information is still coming in about the events unfolding in Japa, but the administration is committed to learning from Japan's experience as we work to continue to strengthen America's nuclear industry. Safety remains at the forefront of our effort to responsibly develop America's energy resources, and we will continue to incorporate the best practices and lessons learned in that process." Check MSNBC for the full list of 104 plants and their risk profile.